When you embark on a journey, it’s handy to have a look at a map first. Sure it’s fun to get lost sometimes, but when you’re up against the clock, the last thing you need is an unplanned diversion. Crafting an effective training programme is a lot like going on a journey. If you set out without a clear direction, your programme could end up almost anywhere. If you’re really lucky, you might just stumble across the perfect programme, but in all likelihood, if you don’t know where you’re going, you’ll just get lost. Before you start designing the LMS, it’s helpful to define a concept. This is the theme and the overall message that permeates everything in the programme. Let’s take our own Academy Superheroes platform as an example. Academy Superheroes is a learning community made up of the admins across our client base and it’s their best resource to find ways to get the most out of the Academy LMS. 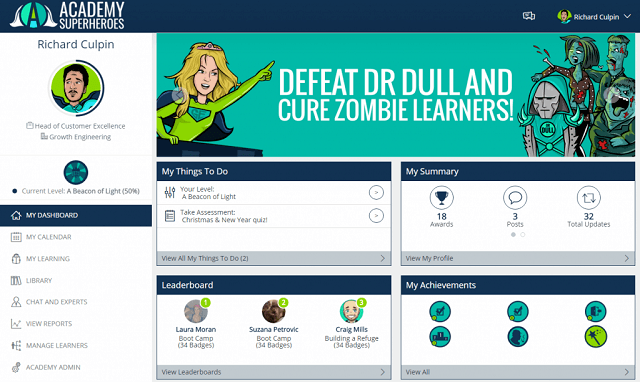 We want these new Academy admins to feel like they’re the saviours of L&D in their organisations, so we decided to create the platform with a superhero concept in mind. So how do you go about creating the perfect concept for your training programme...? Before you get blinkered by specifics, take some time to let your brain wander off on its own course. Grab a sheet of paper and start writing down everything that comes to mind. It could be a simple list, or if you prefer, you can draft a mind map or a flow chart. However you approach brainstorming, the important thing is to get all of your ideas (no matter how absurd!) written down. This will serve as a visual aid that will help you tell the good ideas from the not-so-good, and it’ll make it easier to see how they all relate to each other. Now that the brainstorming is out of the way, it’s time to narrow your focus a little. Consider the vision and values that guide your company. This is the core of your concept and you should keep them in mind with everything you do. Academy Superheroes – Waging War on Dr. Dull! Let’s go back to the Academy Superheroes example again. 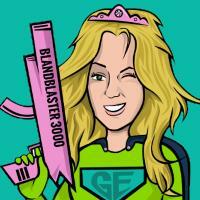 One of Growth Engineering’s core values is that we oppose dullness in all its forms! 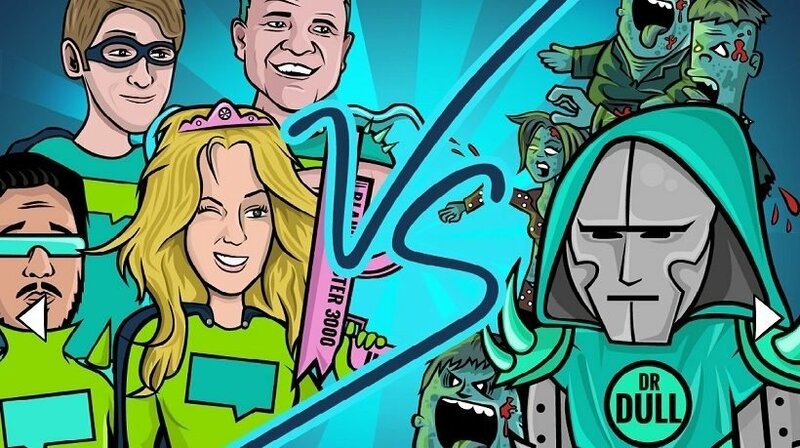 When we were plotting the concept for Academy Superheroes, we cast every user on the system as a co-combatant in an epic battle against the forces of Dr. Dull. This doesn’t just reinforce the values behind the learning, it also gives the learners meaning and makes them feel like they are part of something. What Do The Learners Need To Know? The point of a training platform is to deliver training content. Think about the content that your learners need to consume if they’re going to unlock their full awesomeness. This will vary depending on your business, but it should give you a good idea of the direction your concept should go. The best way to deal with this is to put yourself in the shoes of a new starter. What does their career path look like in your business? In a lot of cases, this could form the basis for the storyline behind your concept. Who Are Your Learners REALLY? No learning plan can be truly successful if you don’t pay attention to the most important factor – the learners themselves. Your concept needs to reflect the business objectives, but it also needs to resonate with the people on the receiving end. Generalising the interests of your learners is easier in some cases than others. For example, one of our clients, GAME, is the UK’s largest retailer of video games. It was a foregone conclusion that GAME employees would be passionate about gaming, so using a gaming concept on their Academy LMS was a no-brainer. If your learners’ interests aren’t so easy to define, it’s not the end of the world. You know better than anyone else what will appeal to them – you just have to trust your gut! If for whatever reason that sounds too risky, why not invite everyone to submit their own ideas or participate in a survey? You might discover that learners can sometimes be the best teachers! You could simply launch your LMS without a concept, but it will only ever be an LMS. 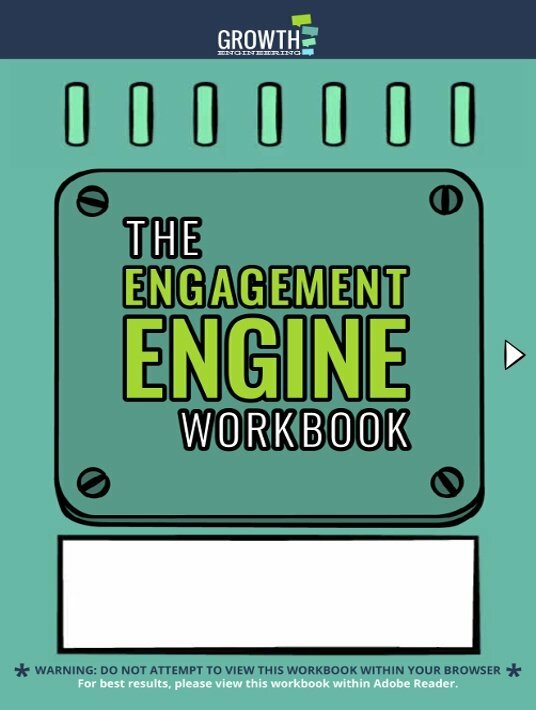 If you want to create a true Engagement Engine, download our free eBook The Engagement Engine Workbook.